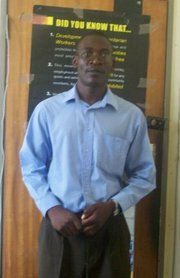 This week we are going to review the collection of short stories written by Charles Mungoshi, one of the famous writers in Zimbabwean Literature. The novel entitled, “Coming of the dry season” by Mungoshi consist of ten chapters and refers to several issues that affect Africans in today's world. Education is viewed as a vehicle to success in all endeavours and contributing to political,social, religious and economic well being. Mungoshi has a negative side of the story on formal education to Africans, especially during the colonial periods , where Africans could not occupy influential post despite being educated more than a white person. Creation of a social system in which the educated are granted higher status than those without causes disunity in the society. Alienation between educated and uneducated is functional to our social well-being. The debate between two boys who are friends and are on equal level until they entered into alien school system in the story; “The mountain”, tells a story on the evils of formal education. Values and social hierarchies imposed by the education system creates a rift between community members. Chinua Achebe in, “Thing Fall Apart”, says that, “Western education acted as a crush blow levelled at traditional values by aliens and causes the society to fall apart”. Mungoshi condemns the economic, political, social and educational configuration brought by white person. Unlike informal education where communalism is kept intact, formal education encourages individuals to be awarded on merit. Our contemporary society has an insatiable appetite of greedy fuelled by western education. One of Charles stories; “The setting sun and the Rolling” shows how our African community has been left in social shambling state. Western education does not give us solution to our problems, but it worsens it. Imfundo yebeLungu kayilabubelo ngitsho lakancane. Dzidzo yechirungu haina pundutso kwatiri.Many graduands in our modern society from universities and colleges have despaired hope and are puzzled with the problems they face. Their hope is banked on the old age to offer them solution. Formal education is good to those who are determined, but fosters bitterness to the community. “Shadow on the Wall” is a story that indicates how parents are not caring for their children. Child abuse, hostility and disputes between parents and their off-springs is the order of the day. Musaemura Zimunya in one of his poetry books portrays urban area as a place; Language is difficult to understand, parents deny their children gift of language to express themselves. Hence children are placed on a solitary plain as they are abused by their parents. “The accidents” in Coming of The Dry Season depicts an urban area as a bad place for blacks to reside. Many blacks are caught with misfortune hence unemployment, prostitution, robbery, poor sanitation and a host of other problems is a product of the urban set-up. In today's world many people are living in misery. An urban area will never be a permanent resident for Africans because it was imposed to them by a white person. “Coming of the dry season”, the title story in Mungoshi's book tells a story of Moab, who forgets his parents after securing employment in town. There are some people who resemble Moab in our contemporary society. Embracing western values have made us to shun our relatives who are poor and uneducated because they put us on shame. Many people have become wild animals that devour their by-products. They abuse children, and swindle associates their valuable assets. Women have been turned to the “sugar Pie” of the city, an ice cream ready to be eaten by the rich men in town.